NSA - Natural American Spirit Survey: "It is an enterprise app, It is a survey app build for tablets." Buick Survey App: "It is a survey app .It is an enterprise app"
Reach out to your Customers with our High Quality Windows App Development Service using the Latest technologies. Microsoft stack is one of Itexus core specializations. We have designed and developed 10+ Windows mobile applications for such industries as healthcare, finance, online media and others. MobiTouch services cover all the important sectors of the market, including the ones in the niche. Front Rush: "Front Rush is a SAAS based Athletic Recruiting Software meant for College Coaches. The Front Rush app streamlines athletic recruitment process and supports both desktop and mobile devices including iO..."
WEBCON BPS: "We have created and we are developing mobile applications which are mobile terminals for the WEBCON Business Process Suite which is a comprehensive solution for the Microsoft SharePoint platform, enab..."
Ayoo: "Ayoo Dance was created for dance lovers by dance lover to build a strong and vibrant community of like- minded people. Project idea The main idea of Ayoo Dance is to give dancers a place where ..."
"Additionally I would like to thank Opus for their expertise and helpfulness in so many different projects. Special thanks to design team and developers for using modern solutions and innovat..."
Wynk Music: "Wynk is the music app for every mood! From Rahman to Rihanna, it has over 1.8 million songs across Indian and International music. Stream and download songs by genres, moods, artists or simply tune in..."
"Mobikasa were great partners and understood everything about the platform and what we wanted to achieve. They made insightful suggestions and reacted to the feedback provided." We develop qualified Windows Phone apps. 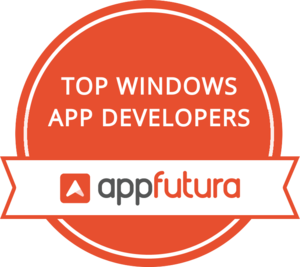 At Apparrant we develop quality windows apps at affordable prices. We not only meet but exceed your expectations through our services. We help you to create custom platform where users can directly connect with you. AppStudioz has designed and developed some of the finest Windows mobile applications for a huge clientele, and has always been known for delivering unmatched mobile solutions. "Working with the team was a new great experience for us. They have big practical knowledge concerning not only technical details but first of all business processes. They made an analysis of..."
Windows Phone apps are developed by our team of experts.